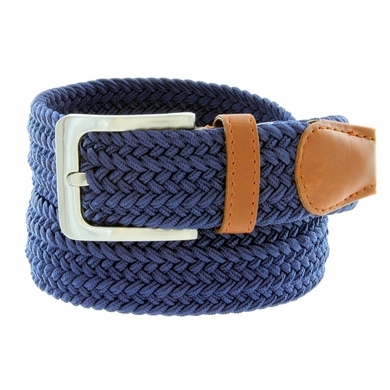 Belt made of woven fabric with solid metal buckle and belt tip covered in genuine leather. Braided Elastic Strap that stretches and moves with you for all-day comfort. S(32"-34"), M(35"-37"), L(38"-40"), XL(42"-43") Total Length: S: 38", M: 41", L: 44", XL: 47".